No person or organization is safe from cyber security risks. In fact, it is nearly impossible to escape it in today’s world. Therefore, every individual and business owner should take proactive steps to build a safe and secure environment for their employees, associates, customers, and other users. A safe corporate environment reduces the risks that cyber criminals pose to a business. Below are a few smart ways to reduce information and data security risks to your computer systems. As bookkeeping is essential for financial recording, it is vital to set some time aside to educate your employees about cyber security, how to be smart online, and how to identify scams such as suspicious emails and websites. Make sure that you have an updated version of a powerful antivirus software at all times on all of your computers and devices so that no device is infected with new viruses. Firewalls are critical to keeping cyber criminals out of your devices. If you have more than five computers, to protect your overall network, it is good to get a network firewall. In the absence of necessary data backups, you will be in a significant bind if you lose your organization’s valuable data and records because of a cyber breach. In fact, a minimum of one of your data backup sets needs to be kept off-site in a secure place so that only a few reliable and trusted individuals have access to them. Experts suggest locking up your critical business backup data. Usually, Wi-Fi networks are easy ways for cyber criminals to obtain easy access to contents that are confidential. Thus, all of your Wi-Fi networks must be robust and complex enough to reduce your risk of this happening. Consequently, using special and numerical characters cannot harm, either. You’re bound to have seen the thriller movies where a cyber criminal fakes their identity and then attacks a server, stealing sensitive data by copying it onto a USB in a matter of minutes. Sure, that’s Hollywood for you. However, it happens in real life more than we’d like to admit. Thus, always make sure you know who is coming in and out of your company premises. In addition, do not permit individuals to play with your systems that contain important data files. It makes sense to have every employee use their own individual official accounts to perform their jobs on your business computers. It ensures easier tracking of who is performing what activity online. This is a security measure that will be beneficial in many ways. An easy tactic to safeguard your devices is to secure them with good passwords. A password policy will encourage all employees to change their account passwords quarterly and to create them so that they are difficult to guess. As mentioned earlier, it is imperative to build passwords using letters, numbers, and special characters simultaneously which makes it harder to crack the code. Consequently, passwords have to be easy to remember but hard to guess. Even if one of your employee’s user devices is compromised, a hacker would fail to download or delete software if you have limited authority. Only authorized staff members must be able to install software applications on your company’s devices in order to ensure a safe and secure environment. 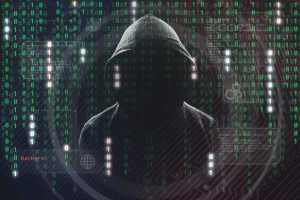 In case of a cyber breach or data hack on your business computers, cyber insurance will protect you from system failures, cyber extortion, and breaches. If your company heavily depends on its business computers, servers, and devices, or stores personal client information on them, it is a good idea to add a cyber policy to your company insurance plan.